DECORATIVE GLITTER, BULK - An Economical Way for Large Volume Users to Get the Same High-Quality Glitter Sold in Our Small Jars. Ultra-Fine Decorative Glitter is Loaded with Sparkle. Flakes Measure Only .008". 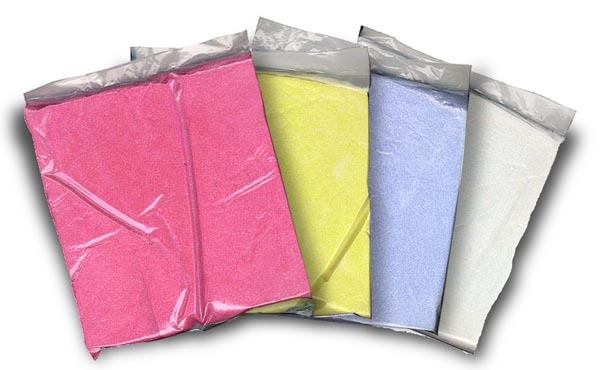 Glitter Adds a Colorful Brilliance to Crafts, Ceramics, Greeting Cards, Rubber Stamp Art, Signs and more. Decorative Glitter will Enhance Just About Any Project You Can Imagine. 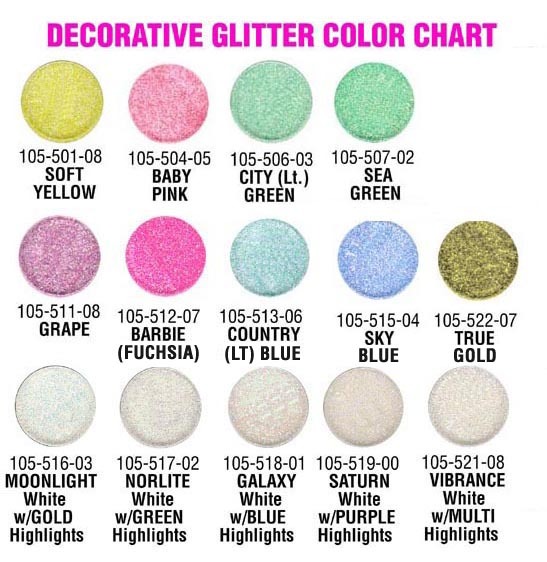 NOTE: WHITE GLITTERS Have a Hint of a HIGHLIGHT Colors Added as Indicated Below. Flakes Measures Only .008 - and That�s VERY Small - But Adds Up to MORE Sparkle! Hold Glitter in Place by Sprinkling on Wet Paint or Clear Medium, White Glue etc.